Experts from Northern Ireland’s Institute for Global Food Security have called for rapid screening techniques to detect and help prevent food fraud in the herb and spice industry. Writing in the journal Food Control, Pamela Galvin-King, Dr Simon Haughey and Professor Chris Elliott said global supply of herbs and spices is not expected to keep up with future demand, leading to a rise in prices and an increased threat in fraud and adulteration of the products. Saffron, oregano, vanilla, turmeric and paprika are particular targets for adulteration, the paper noted, while the addition of adulterant colour to spices to improve their value is a common occurrence and can pose a public health threat. “There is an increasing need to combat the rising threat of food fraud,” especially in the herb and spices industry, which is “under constant threat”, the authors said. They emphasised the public health threat and impact on industry, economy and consumer trust. One of the difficulties in keeping the herb and spice industry free from fraud, is the issue of long industry supply chains that can exist over many countries, the experts said. The increase in crushed and ground herbs and spices also provide excellent opportunities for economically motivated adulteration. “Supply chains in the herb and spice industry tend to be long, complex and can pass through many countries. Such complexities present many opportunities for criminals to carry out economically motivated adulteration,” the authors said. The authors noted that visual inspection and microscopy are common methods used to detect adulteration in herbs and spices. However, they added, that this required highly trained analysts, with analysis being both costly and time consuming. While research was continuously being carried out to develop new methods for the detection of adulteration in herbs and spices, he authors said that fraudsters often tended to be one-step ahead of the food safety agencies, with techniques for food adulteration becoming increasingly advanced and often more difficult to detect. That said, techniques such as DNA analysis, mass spectrometry – including gas chromatography, liquid chromatography, isotope ratio and inductively coupled plasma – vibrational spectroscopies – including Fourier transform near infrared, Raman, hyperspectral imaging, and nuclear magnetic resonance – along with chemometrics, have become increasingly used to detect adulteration in herbs and spices, the paper noted. Although there were still limitations with these techniques, the authors said advances were being made to provide faster and cheaper methods of analysis and urged the development of even more efficient screening techniques. 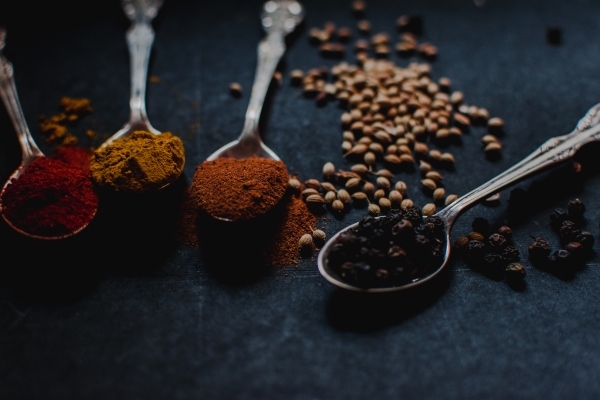 The paper gave several examples of food fraud in the herb and spices industry with the authors saying that lessons could be learnt from reviewing old examples of adulteration.